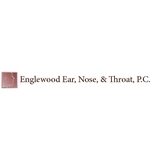 Englewood Ear, Nose & Throat (Englewood) - Book Appointment Online! Very professional. Gave a thorough examination and provided me with different options. What a great doctor with amazing bedside manner!! Dr. Wanich is very friendly, knowledgable, and really takes the time to get to know her patients. She asked about all symptoms and how long they were present and was extremely thorough in her examination. Definitely will be recommending her to family and friends! Wonderful Doctor!! Amazingly clear and very comfortable to speak with.